View of some of the homes found in the development. H&AI had to coordinate the project with the municpal water tower on site. Example of retention pond on site. 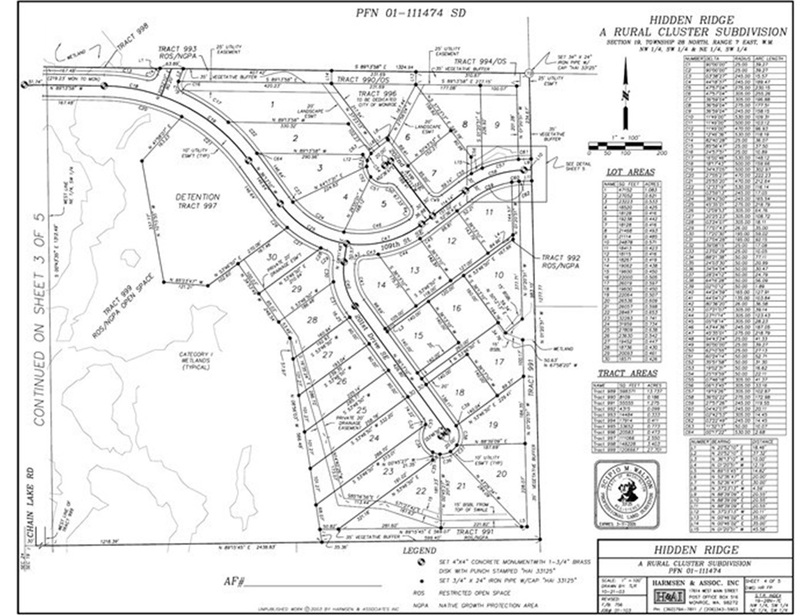 Rural cluster subdivision drawing section. 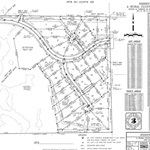 Harmsen successfully coordinated a large team composed of a land use attorney, a wetlands consultant, a geo-technical consultant, a traffic consultant, and a drain field designer to make this major development project possible. By leading a review of the history of the project and identifying major and minor project issues we were able to generate alternatives that resulted in an approvable plan. Major issues involved wetlands, former logging impacts, grading violations, a city water tower, and endangered species regulations.